When the soccer team said it was losing money, Salt Lake County quietly reduced the assessed value of Rio Tinto Stadium, cutting taxes nearly in half. 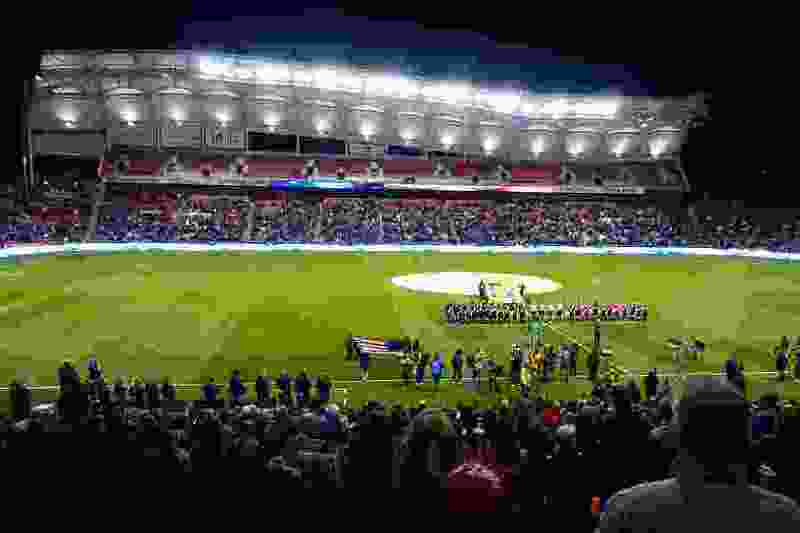 (Trent Nelson | Tribune file photo) Real Salt Lake claimed it was losing money and cut a special deal with Sandy City to slash property taxes on its Rio Tinto Stadium. 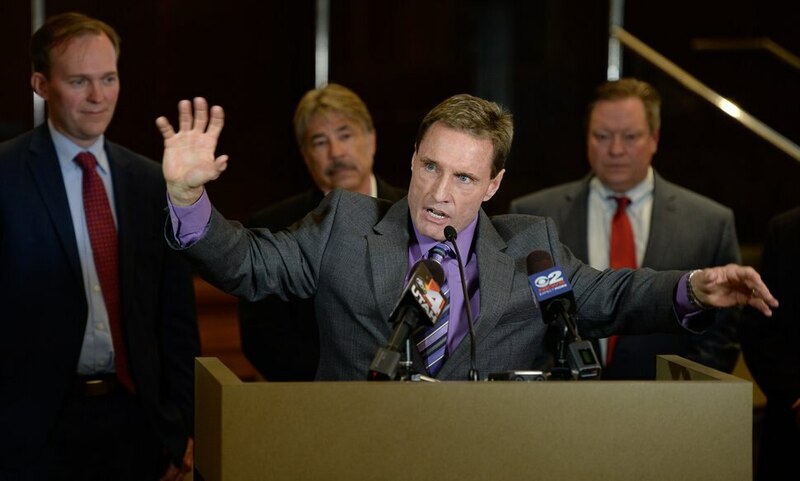 The dramatic tax adustment by Salt Lake County has escaped public attention for six years. By asserting it was losing money, the Real Salt Lake soccer team quietly persuaded Salt Lake County officials to cut its property tax on Rio Tinto Stadium by nearly half starting back in 2012. That off-the-field victory has saved the team more than an estimated $5 million in taxes since then — equivalent to about 70 percent of the team’s guaranteed player payroll this year of $7.4 million. (Pro soccer players are paid less than stars in many other sports). The tax cut happened so quietly that it never drew public attention until now. Even Salt Lake County Council members who approved it say they don’t remember the vote nor discussing it, noting it was buried among more than 700 revaluations proposed by the county assessor’s office in the same meeting. Its big tax break came even though RSL once promised Sandy not to seek such a reduction because the city uses its share of those taxes toward paying off bonds it issued to help build the stadium — and a cut could threaten (and indeed for years actually did hurt) the city’s ability to make those annual payments. But quiet lobbying and the promise of an unusual financial deal to protect the city’s share of taxes by team owner Dell Loy Hansen would reverse initial city opposition. School districts, water districts, the county and other local governments would enjoy no such deal to protect the millions of dollars they had at stake in tax revenue from the stadium. Still, Sandy and Salt Lake County say the tax cut was fair — and resulted from rules that allow lowering the stadium’s taxable value because the team asserted that it was losing money, even though it has had among the top attendance in Major League Soccer. By claiming it was losing money, the Real Salt Lake soccer team quietly persuaded Salt Lake County officials to cut its property tax on Rio Tinto stadium by nearly half starting back in 2012. Joe Scovel is a commercial real estate agent with clients who are neighbors of Rio Tinto Stadium. He says some of these property owners had disputes through the years with RSL and Sandy (which owns the land beneath the stadium) over attempts to obtain land through condemnation for trails, access to the stadium or other purposes. 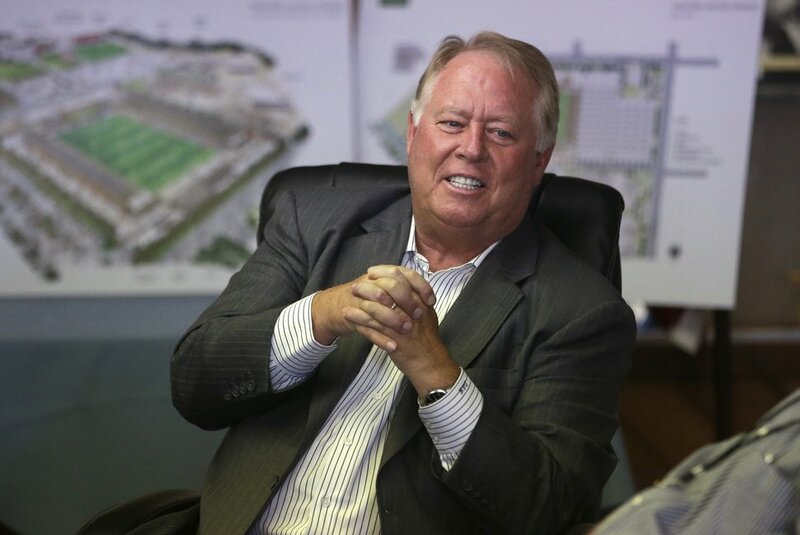 That, plus his work to value nearby property led Scovel to discover that the county had dropped the taxable value of the stadium — which cost $110 million to build — to $53.1 million. “I was surprised. I hadn’t heard anything about that in the news,” he said. So he started to research what happened. He filed open-records requests with the county and Sandy to piece together the story, and later provided those documents to The Salt Lake Tribune. The newspaper made requests for additional documents and sought interviews of officials involved. (Associated Press/Rick Bowner) Real Salt Lake owner Dell Loy Hansen. Documents show that the team started seeking the tax cut in 2011, about two years after Hansen, a politically connected real estate developer, had become part owner of the team with Dave Checketts. Hansen would buy out Checketts in 2013. “When Mr. Hansen became an owner, he came into our office and said, ‘I want you to take a look at the value you are putting on the stadium because I don’t think it’s worth that much,’” recalls Salt Lake County Assessor Kevin Jacobs, who at the time was chief deputy to then-Assessor Lee Gardner. “We assigned that to an appraiser. So that was just very straightforward,” Jacobs says. Neither Hansen nor RSL responded to numerous requests by The Tribune for comment for this story. As required by a deal that RSL made with Sandy for bonds that helped build the stadium, the team notified the city that it was seeking a cut in the stadium’s property tax valuation. The city quickly protested to the county. Nick Duerksen, economic development director for Sandy, wrote an Oct. 7, 2011, letter explaining the city had issued $11 million in bonds to help build the stadium, and was using its share of property taxes paid by RSL to make payments on them. The city needed “the taxable value of the stadium to be at least $110 million” to fund required payments, he wrote, and said RSL “had agreed to invest at least $110 million in the land and construction of the stadium” to create such a tax valuation. If the value went much below that, Duerksen wrote, Sandy’s share of taxes would “be far less than the debt service obligations on the stadium bonds, and the city will be required to pay the shortfall from other city funds” — which is exactly what would happen later, at least for a time. Soon after that protest, team owner Hansen met with longtime Sandy Mayor Tom Dolan — and managed to reverse city opposition. Deputy Mayor Nicole Martin said Dolan, who was convincingly defeated in this year’s election, was unavailable for an interview for this story and instead referred the newspaper to Duerksen to answer questions. 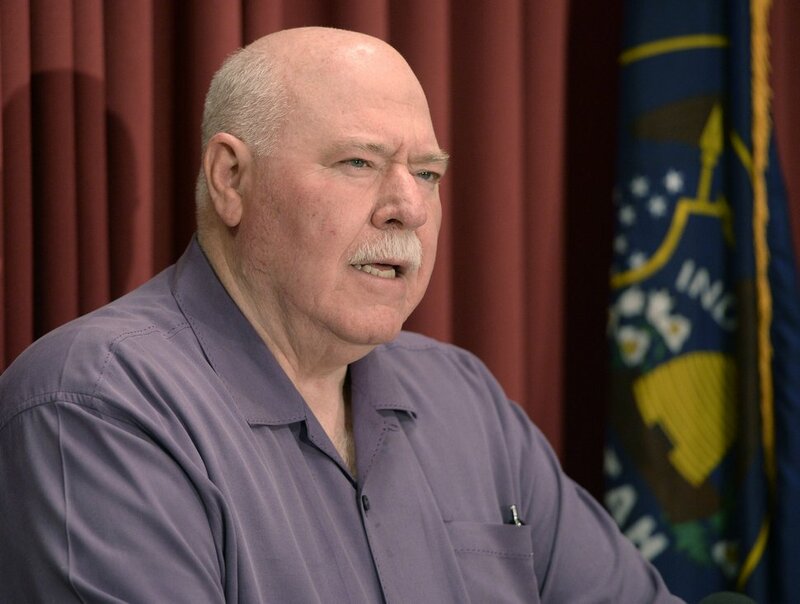 Duerksen said in an interview that Hansen told Dolan that other sports venues competing with Rio Tinto Stadium for concerts and other events paid far less in property taxes — so RSL wanted to also reduce its tax bill to make its overall costs more competitive. (The Salt Lake Tribune | Al Hartmann) Sandy Mayor Tom Dolan. Dolan — who would receive a hefty $10,000 in campaign donations from RSL or Hansen in subsequent years — backed Hansen’s request and sought the City Council’s agreement. Council members agreed to the deal and approved withdrawing the city’s tax protest with the county. Minutes noted that Councilman Steve Fairbanks said one reason for the agreement was “the soccer team is making money” — a statement in direct contrast with the team’s argument to the county in seeking lower taxes. Documents show the county then decided to decrease the assessed value of the stadium and the land beneath it from $98.1 million to $56.7 million, a 42 percent drop. “Obviously, the dollar value is not typical, nor is the percentage decrease typical,” says Jacobs, the current county assessor. He says that for a new property, the county normally bases its taxable value on the cost. For example, if someone paid $250,000 for a new home, the county would figure that is its value for tax purposes. The county initially did the same, essentially, for the soccer stadium, which had cost $110 million to build in 2008. 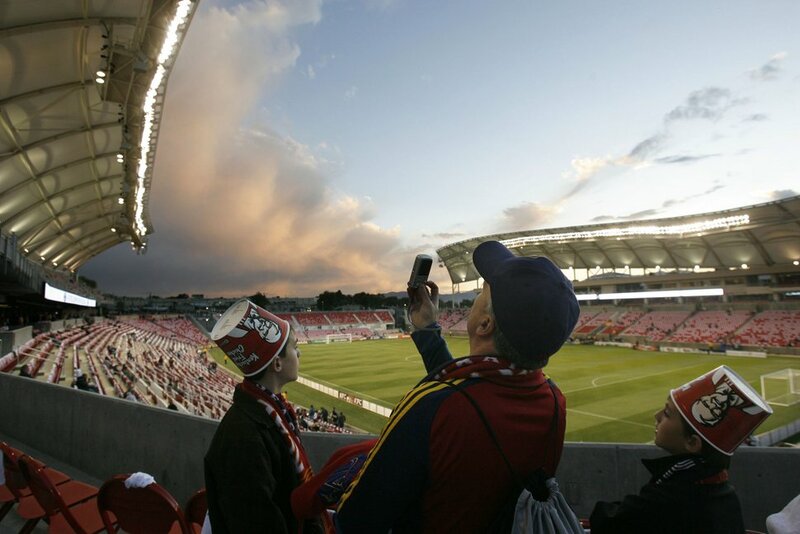 (Salt Lake Tribune, Rick Egan) Fans check out Rio Tinto Stadium during its first game. However, for income-producing properties, the county may also use an alternative appraisal method that takes into account how much the business may be making or losing. The county did a 10-year “discounted cash flow analysis” due to “the team’s current negative cash flow in order to arrive at a value that was justifiable,” the assessor’s records say. Rio Tinto Stadium’s assessment is now roughly on par with other key sports venues. Its 2017 valuation at $53.1 million compares to $45.5 million for Vivint Smart Home Arena, owned by the Utah Jazz. The county also puts a valuation on two other pro-sports venues, even though they are exempt from property tax because cities own them. The Maverik Center, owned by West Valley City and used by the Utah Grizzlies hockey team, is valued at $45.5 million. Smith’s Ballpark, owned by Salt Lake City and used by the Salt Lake Bees baseball team, is valued at $20.8 million. The Salt Lake County Council, acting as the Board of Equalization, is responsible for final approval of property value appeals. That occurred with Rio Tinto’s reduced assessment in April 2012. But members asked about it say they don’t remember it, nor do they recall discussion about the big tax cut. “The agenda shows about 760 items approved by the Board of Equalization that day,” and most were approved in large blocks, said Steve DeBry, who is council chairman. He said he remembers no discussion about the stadium. Francisco Kjolseth | The Salt Lake Tribune Salt Lake County councilman Steve DeBry expresses his approval of two new proposed homeless shelter sites by Draper City during the announcement at the Salt Lake County Government Center on Tuesday, March 28, 2017. He requested that the old agenda, minutes and related documents be pulled from county archives. Minutes of the meeting do not record any comments specifically about Rio Tinto Stadium, but do record debate about exemptions sought by some hospitals because of their charity care. However, as DeBry pointed out, the assessor’s office has a practice of preparing a sheet showing any changes valued at more than $250,000 for council members. Such a sheet was prepared and is among county records. Rio Tinto Stadium was among 29 such parcels on the list for that meeting. The $41 million decrease in assessed value dwarfs everything else on the list. The second-biggest decrease was for $5.4 million on property owned by Compeq International Corp.
“I do know the assessor’s staff was involved in the valuation of the properties, and they are our experts as far as the valuation of the property,” DeBry said, adding the council relies on that expert advice. Records show that RSL initially was given a property tax bill in 2011 of nearly $1.5 million. This year, even after tax-rate increases by several local governments through the years, its property tax bill was under $686,000, or $770,000 less. If RSL saved at least $770,000 a year in the seven tax years from 2011 (once reduced) through 2017, that’s nearly $5.4 million in tax savings. That dramatic drop affected some local governments more than others. Projections by The Tribune indicate the cut meant nearly $2.7 million in RSL savings in Canyons School District taxes. It saved the team about $860,000 in taxes to the Jordan School District — which still collects some property tax in Sandy to retire old debts before Canyons split from it. The team saved about $838,000 on its aggregate Salt Lake County bill; some $560,000 on Sandy taxes; another $190,000 for county library taxes; and a combined $700,000 on taxes paid to several water and sewer districts. Under Utah tax code, local governments can raise rates when overall valuations go down to produce the same revenue year to year. That raises the possibility that other taxpayers might be offsetting the reduced payments from a big property owner like RSL. Sandy cut a special deal with RSL that city officials say was designed to prevent any loss of its city tax revenue from the stadium — which is why, Duerksen said, it withdrew the protest to the stadium tax appeal. But that June 2013 deal giving Sandy $75,000 a year is unusual. The agreement says it is meant to compensate the city for 1,000 stadium parking spaces that RSL once promised to the city but never delivered — and makes no mention of covering tax revenue lost from revaluation of the stadium. RSL can stop the payments if and when it provides that parking, according to the contract. Duerksen nevertheless insists the payment is actually in lieu of lost property taxes. He said it was written the way it was “at the advice of bond counsel,” which figured Sandy could more easily enforce continued payment by using the parking issue than by seeking the lost taxes — which legally may not be owed once the stadium’s value was reduced. However, Scovel — the commercial real estate agent who first noticed the RSL tax cut — found some documents that indicate the deal has not always covered Sandy’s annual costs for the bonds. He found, for example, a 2015 budget document for the city’s redevelopment agency that talked about some funding problems for its 9400 South Project Area around the stadium. “Mostly due to insufficient property tax increment revenues, the 9400 South Project Area will not be able to assume servicing all of the debt related to the soccer stadium bonds,” according to the city record. It adds that area “will be relying on other RDA project areas for help in servicing the debt” through loans to it. A similar 2012 document notes loans from other areas, also to help cover the soccer bonds. While Duerksen said that happened “for a few years” while the deal was being worked out and started, the RSL payments now cover the bond payments. Scovel, however, notes that the $75,000 payment for lack of parking was something already allowed in earlier development agreements between RSL and the city, and he contends that enforcing it does not mean RSL is truly providing the city with the promised property tax revenue to cover bond payments. Whether the deal was fair and beneficial to the public depends on who is talking. Duerksen defends the deal as a good one for Sandy by helping RSL be successful. 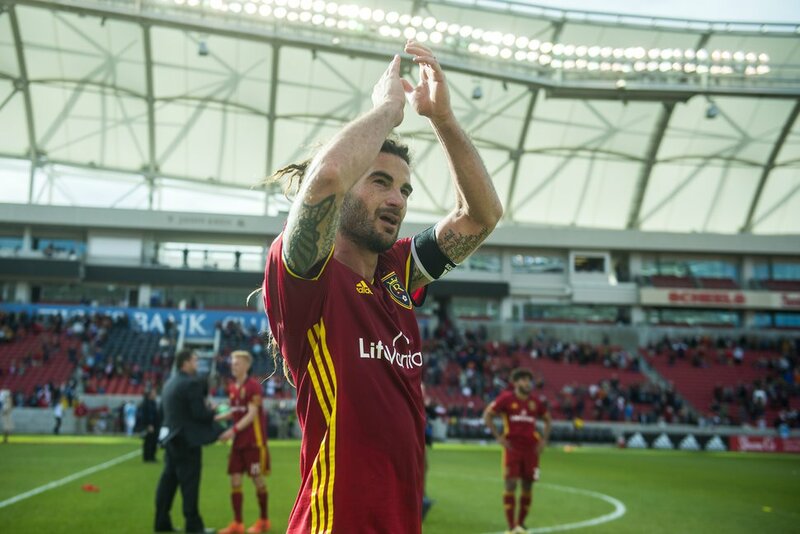 (Chris Detrick | The Salt Lake Tribune) Real Salt Lake midfielder Kyle Beckerman (5) acknowledges the crowd after the game at Rio Tinto Stadium Sunday, October 22, 2017. Sandy has lost nothing financially, Duerksen adds, and has probably come out ahead. Scovel, the commercial real estate agent, sees things differently. Sandy Mayor-elect Kurt Bradburn, who defeated Dolan in this month’s election, said he will review the matter after he takes office in January. “I campaigned on doing what’s right,” Bradburn said, adding that he wants to ensure what happened is legal, proper and in the best interests of the city.